C.Lee Smith's extensive research on the subject of sales coaching has earned him a top spot on the coveted list of top 15 Sales Consultants. SalesFuel is proud to announce its naming to two of Selling Power Magazine’s major #sales lists. SalesFuel CEO C. Lee Smith is named to Selling Power’s inaugural, annual list of “Leading Sales Consultants”. 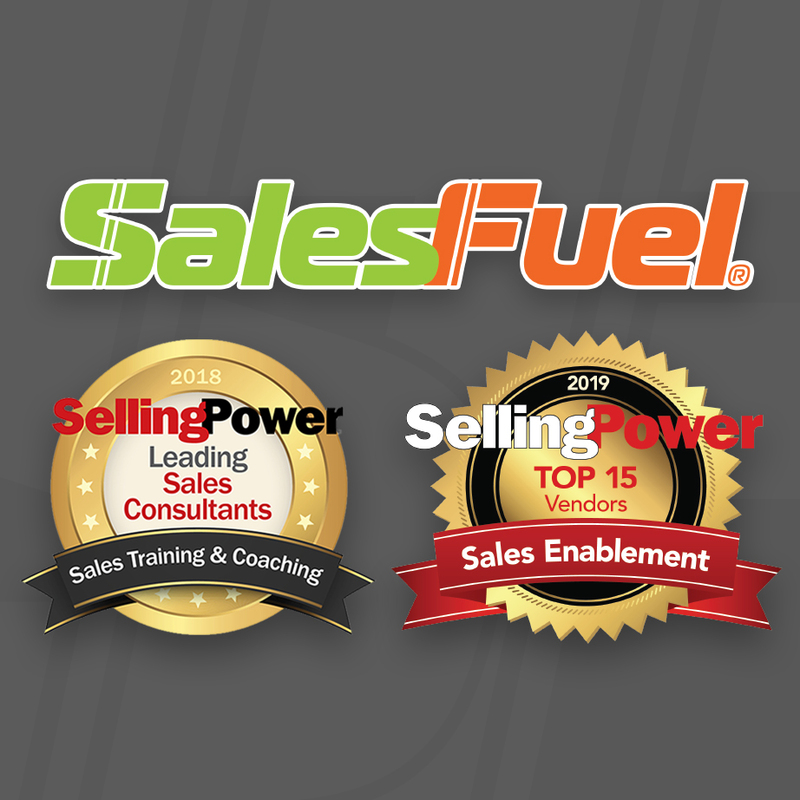 SalesFuel as a company is also named as one of Selling Power’s “2019 Top Sales Enablement Vendors”, joining 14 other top companies. Selling Power says the naming of Smith to the “Leading Sales Consultants” puts him among the top 15 sales consultants who are recognized for their excellence, expertise and insight in the realm of B2B selling. The list is a guide to help B2B sales leaders find and hire consultants who can best fit their needs. SalesFuel is designated by Selling Power Magazine to the list of the “2019 Top 15 Sales Enablement Vendors”. Selling Power magazine founder and publisher Gerhard Gschwandtner says the list was created to recognize the vital role of sales enablement and technology tools in helping sales teams achieve peak performance in a digital era. Gschwandtner says the two lists serve the important purpose of helping sales professionals find thought-leading companies in a rapidly changing sales space. Through its unique portfolio of sales tools, training and intelligence, SalesFuel provides more than 2,000 sales teams nationwide with “The Power to Sell Smarter.” This empowers sales teams to provide further value to their accounts, stand out from their competition and attract a higher level of talent and clientele. SalesFuel is proud of its newest addition, SalesFuel COACH®, a data-driven, adaptive sales coaching™ solution. SalesFuel COACH creates and continuously updates a personalized Coaching Playbook for each salesperson based on their unique needs and skill gaps. A new offering for 2019 is SalesFuel HIRE, a platform that aids in avoiding costly hiring mistakes through the use of data-driven analytics. The company also offers its popular AdMall® product line for media sales and new business hunters at advertising agencies. AdMall is the sales intelligence leader for local media & digital marketing. AdMall ensures account executives are prepared to speak intelligently about every advertiser's line of business, their customers, their competitors and sales-building opportunities. The company’s current core products also include the SalesFuel API and Gitomer Certified Sales Training. SalesFuel’s team of sales transformation consultants can aid with strategic planning, pricing models, compensation/incentive programs, and digital marketing. Thought leadership is delivered free-of-charge through the firm’s frequent white papers and daily sales briefings at SalesFuel.com. SalesFuel also produces the SalesFuel Today e-publications that are updated several times daily for sales professionals across North America. SalesFuel named "2019 Top Sales Enablement Vendor" & "Leading Sales Consultants" SalesFuel named "2019 Top Sales Enablement Vendor" & "Leading Sales Consultants"